Cosmetic & Restorative Dentistry in Longwood FL | Dental World, Inc.
As a family dental practice, we at Dental World Inc. are committed to providing personalized care for you and your family’s dental needs. With comfort and professionalism in mind, we offer a number of specialty dental services for those in the Longwood, Lake Mary, and Orlando communities. 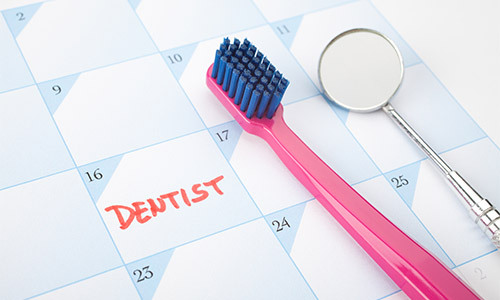 After thorough examination, diagnosis, and treatment-planning, our dentists can offer you and your family a preventive program that will guide you on the right path for a lifetime of optimal dental health. Furthermore, we have flexible hours to accommodate most busy schedules and our business administrators will help to mitigate any and all insurance headaches, making the ideal financial arrangements that will let you focus on what matters. Statistics show that a staggering 99.9% of adults think that having a beautiful smile is a socially important asset. And indeed, having a beautiful smile can make life more enjoyable in a number of ways. Not only can having a healthy and glowing grin improve your self esteem, but it can also improve your professional and personal life in a number of ways. And the best news is that sometimes even the smallest of treatments can drastically improve the appearance of your smile! From whitening to veneers, there are plenty of ways to make your smile shine brighter. If you are one of the many Americans suffering from tooth decay or broken teeth, then you may need crowns. Crowns help to restore the strength, function, and aesthetics of the remnants of the tooth by covering it. Crowns are made from a variety of materials and you will be able to discuss many options with Dr. Rawlins and Dr. H.T. (Josephine) Nguyen. The same tooth decay or injury can very well cause tooth loss. Tooth loss does not only add a blow to your confidence, but it is also often uncomfortable and painful and can severely impact your health and quality of life. Bridges can be used to remedy the problem of missing teeth. Composite or tooth-colored fillings can be adhesively held into place, with the look and feel of a natural tooth. When you lose a tooth due to an accident or a dental condition, simple things we normally take for granted such as eating, smiling, laughing or talking can suddenly become difficult. 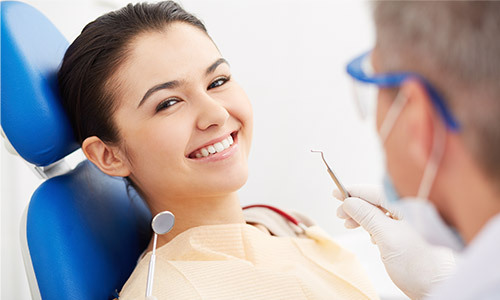 Restorative dentistry treatments can help regain the functionality of a full set of teeth, leaving you with a healthy mouth and glowing confidence. Dentures are created to fit both snugly and comfortably into a patient's mouth. Complete dentures are used when a patient is missing all of their teeth. Partial dentures are used to restore the function of missing sections of teeth. Dentures don’t only improve the appearance of your smile, but they restore important and necessary functions such as eating and speaking and help to prevent facial sagging. In addition, we have our own on-site denture lab which allows us to minimize the turnaround time for denture fabrication and can do most denture repairs within an hour (while you wait). Dr. Rawlins and Dr.Josephine Nguyen along with their dedicated team are well versed in restoring dental implants. This typically entails a single restoration where only one crown is fitted to a bridge or fixed dentures. Crooked or misplaced teeth can be detrimental to both self confidence and overall health. Our orthodontic treatment can help to improve the look and feel of your smile. Temporomandibular joint dysfunction -- or TMJ -- is a common syndrome that involves pain and comprised movement of the jaw joint and the surrounding muscles. TMJ may make it difficult for an individual to chew or open their mouth, and may result in pain, discomfort, and other medical complications. Symptoms such as jaw popping or clicking, sore neck or shoulder muscles, ringing in the ears and frequent headaches could be signs of TMJ dysfunction. Let our professionals help you! Talk to Dr. Rawlins about our noninvasive TMJ treatment options during your next visit. For more information about our cosmetic, restorative or family dental services in Longwood, FL, please contact us at 407.830.4401 today. We look forward to meeting you!